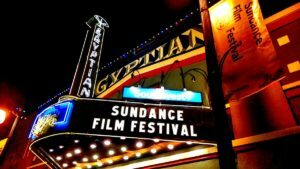 Every year in mid-January, a mass migration to Utah happens: Critics, filmmakers, industry people, and celebrity hunters head to the mountainous ski resort town Park City, about 30 miles from Salt Lake City, where the annual festival — a 10-day marathon of screenings, panels, talks, events, parties, and more — takes place. Sundance is a lot of things: an exhibition for the most exciting independently produced films from the US and around the world; an early predictor of the year’s movie trends; a networking hub for filmmakers and other talent looking to break into the movie business; a forum for discussing issues and groundbreaking technologies that affect film and media; a place to spot celebrities in puffy jackets and furry boots; and a palate cleanser after the hectic fall movie season. A record 71,600 people attended the festival in 2017, which makes it by far the largest independent film festival in the United States.